With the Open Enrollment deadline rapidly approaching on December 15, health advocates, providers, mayors, insurers, hospitals, business owners, faith leaders, individuals and other stakeholders are coming together for the “Last Chance to Get Covered” Weekend of Action, December 8-10. Through enrollment events, paid advertising, local media, social media, email campaigns, and grassroots actions, the “Last Chance to Get Covered” Weekend of Action will make sure people find out that there is very little time left to get health coverage for 2018 through HealthCare.gov. During the “Last Chance to Get Covered” Weekend of Action, organizations and individuals will get the word out across the country about the options for coverage through Healthcare.gov and the December 15 deadline for Open Enrollment. The Weekend of Action kicks off on Friday with the National Youth Enrollment Day. Find local events in your area by visiting GetAmericaCovered.org/Events or contact the local coalition on the ground in each state to find out more about what’s happening locally. You must sign up by December 15. Enrolling is easy but there’s not much time left before the final deadline of December 15 for 2018 coverage through HealthCare.gov. Sign up now to avoid the rush. Coverage could be cheaper than you think. Last year, 8 in 10 people qualified for financial help to make their monthly premiums more affordable. Most people can find plans with monthly premiums less than $75 and many can find plans with $0 monthly premiums. Shop and save – plans and prices change every year. If you had coverage through HealthCare.gov for 2017, you should come back to update your information and compare your options for 2018. Every year, plans and prices change, you could save money by switching to a new plan that still meets your needs. If you choose to go without health insurance for 2018, you may have to pay a penalty. Having health insurance is still the law and there’s a minimum penalty of $695 if you’re not covered in 2018. Even if Congress repeals the mandate, it wouldn’t go into effect until 2019. Free help is available. If you have questions about signing up or want to talk through your options with a trained professional, free help is just a call or quick away. 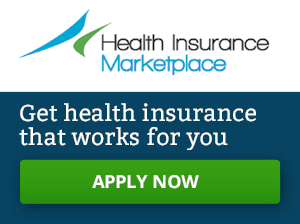 Call 1-800-318-2596, visit localhelp.healthcare.gov or make a one-on-one appointment now. For a full list of organizations joining this statement, check out the press release from Get America Covered.